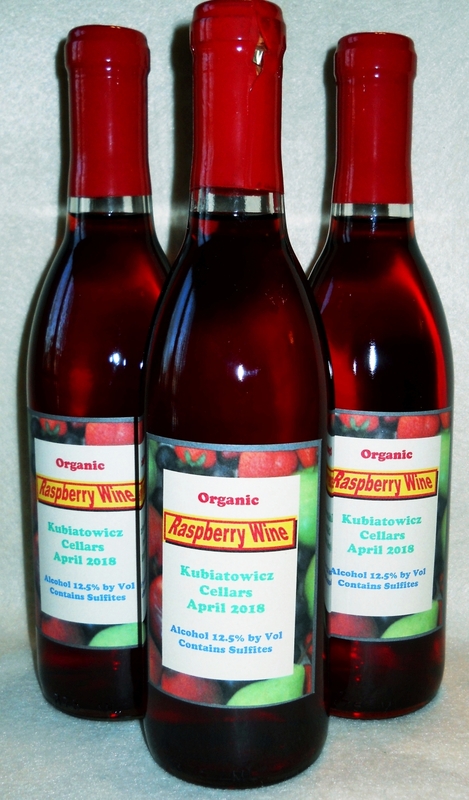 Your Humble Blogger followed the award winning recipe from "The Home Winemaker's Companion" by Gene Spaziani (Past President of the American Wine Society) and Ed Halloran. Paperback Copyright 2000. The recipe calls for fresh raspberries. I used frozen organic raspberries from COSTCO because of the lack of fresh berries in April in the North! The wine has a (not too) sweetness and a wonderful ruby color and distinctive raspberry taste. It needs to age in the bottle more before making a further evaluation. The wine has a bit of sweetness because of using the recommended "Wyeast" which is for making sweet mead (fermented honey and water) and which leaves a residual 2-3% sugar in the wine. There must be some scientific reason the yeast cells don't convert all of the sugar to CO2 and Alcohol other than they get "tired" along the way to the finish line in their fermentation marathon.